Here is an article of downloading videos from such a website. In the article, 6 methods are provided, and most of the methods could be extend to other video sharing websites. If you also want to download video on Windows Platform, you can refer to tutorial on how to download YouTube video to PC. 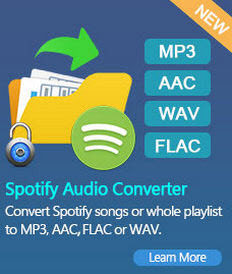 There are three versions of Any Video Converters - Any Video Converter Free, Any Video Converter Pro, and Any Video Converter Ultimate. Free could download videos from 4 websites, while Pro and Ultimate could download videos from 20 websites including break, comedycentral, dailymotion, facebook, liveleak, howcast, metacafe, movieclips, mtv, mtvhive, photobucket, southparkstudios, thedailyshow, veoh, vevo, vimeo, youtube, myvideo.de, rutube.ru, nicovideo.jp. The main advantage of this YouTube downloader is that after downloading web videos you can incidentally have a further editing and conversions of the downloaded videos to other device compatible formats. Step 5: After short-time parsing URL process, click “Start Button” to download videos. KeepVid is an online video downloade site where you download videos Facebook, YouTube, Vimeo, and etc. You just need to copy and paste the YouTube video URL to the dialogue to download the videos in different video formats if there are different videos formats available for source videos. 2. How to Keep Apple Music Files Forever for Offline Enjoy? 3. How to Share iTunes Videos on YouTube? With NoteBurner M4V Converter Plus, you can remove DRM protection from iTunes purchases or rentals and convert M4V to unprotected MP4. It is the fastest DRM remover in the market which can remove DRM from your iTunes videos at 20X faster speed on Mac OS.